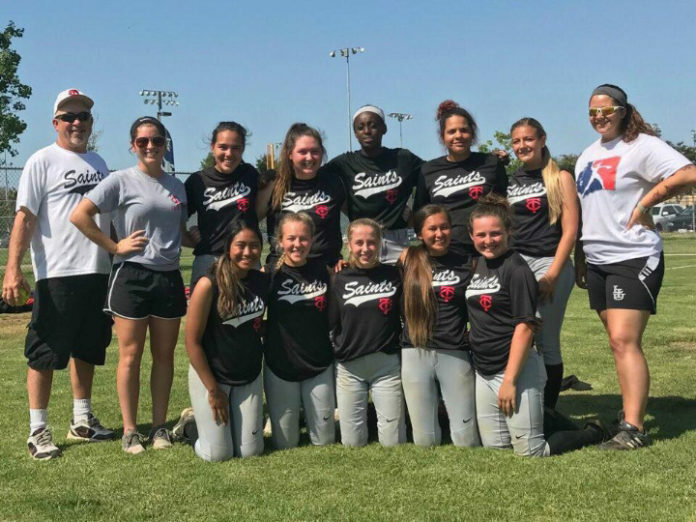 After completing their second successful season with an 18U softball team, the Thurston County Saints are adding a 12U softball team to their growing list of clubs. Tryouts for the new 12U squad will be held on July 23 and July 31 at the Regional Athletic Complex in Lacey and on July 26 at the North Thurston High School JV field. All three tryouts will be from 6:00 p.m. -8:00 p.m. Potential players must be 12-years-old after January 1, 2019. The team will select between 12-13 players to fill the roster. Players are welcome to turnout for more than one tryout, but it is only required to make one of the tryout dates to be eligible for making the team. Once selection of the roster is completed the team will begin practice on August 12, practicing three days a week and participating in three fall tournaments with the last one taking place in November. Following the final fall tournament the team will move indoors to its shared indoor training facility in Lacey, which features batting cages and a practice area for pitching and catching, to conduct winter workouts. “One of the highlights of the winter workouts will be us bringing in a personal trainer once a week for an hour to get the girls some extra conditioning,” Hames said. The spring/summer tournament schedule will start up in February with the team playing in 9 to 11 tournaments. The season wraps up at the end of July with state tournaments put on by the United States Specialty Sports Association (USSSA), National Softball Association (NSA) and Amateur Softball Association (ASA). The TC Saints added a 16U softball program in 2017. The team, which completed their second season earlier in July, moved up to 18U this year. 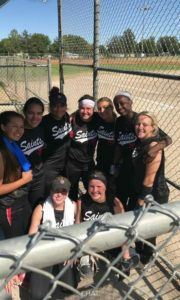 Their success created a desire by the TC Saints to expand softball opportunities to all age groups in Thurston County. The coaching staff has since added Angie Brown. Hames’s hopes is that over the next few years the teams will be able to combine efforts to build a successful softball program within the TC Saints organization, which already features baseball teams in the 13U, 14U, 15U, 16U and 18U levels. Once individuals are selected to the 12U softball team, the cost is $1,500 for the season and includes two full uniforms, helmet and bat bag, indoor/outdoor practice facilities, winter conditioning with a fitness trainer, registration fees and team insurance. The team also offers a sibling discount and payment plan options. 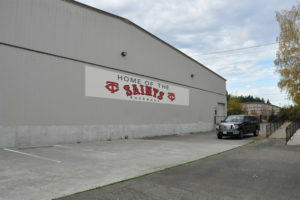 For more information, visit the Thurston County Saints website. Next articleCities and County Seeking Community Input on Comcast Cable Service and Future Cable-Related Community Needs.